Analog and digital phase shifters are an integration of either Varactor or PIN diodes with passive circuitry. These units are continuously variable analog or converted to digital control or a true digital component that is switched from state-to-state. 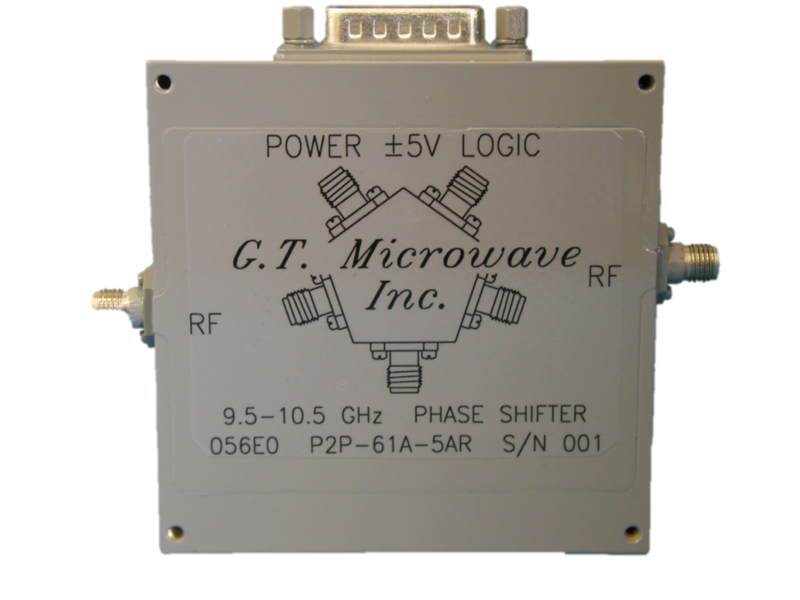 Operating frequency ranges span from 200 MHz to 22 GHz, in up to 9:1 bandwidths, and made available with 500 ƞSec or 1.0 µSec switching speeds. Narrowband models available from 22.0 GHz to 35.0 GHz with 10% bandwidth. Optional Models: Analog Voltage controlled or Switched Line Digital phase shifters are available. Please consult the factory. 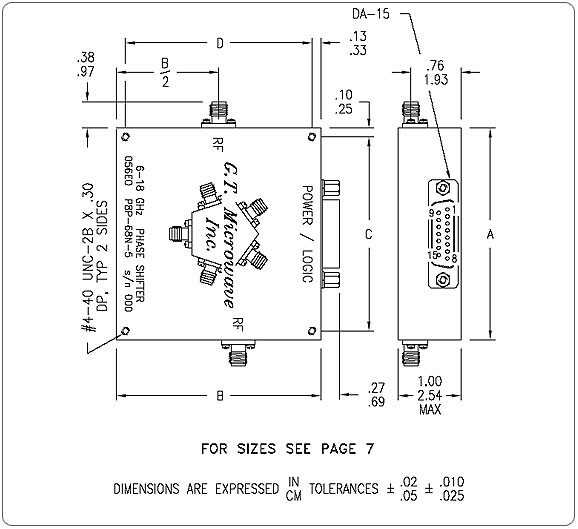 High Speed Switching: Phase Shifters listed are measured from any set value to any set value. Low DC Power Consumption: Phase Shifters require ±12 to ±15 VDC @ ±100 mA. Life Time Integrity: Phase Shifters can be designed to meet MIL-E-16400, Range 1 and MIL-E-5400, Class 2 environments operating within the -55° to +85° temperature range.